The oft-discussed Nintendo 3DS isn’t quite living up to Nintendo’s sales expectations. We’ll give you a moment to act surprised. Nintendo president Satoru Iwata briefed the press on Tuesday about the latest financial reports for the company, and things were pretty dismal across the board. 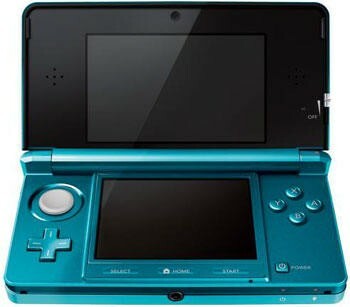 The 3DS was front and center, however, as it is the latest piece of hardware from the company. Since the launch of the handheld game in Japan in Feb., and in Europe and the United States in the last week of March, the new handheld has only sold 3.61 million units, falling well short of its projection of four million. “Sales of the 3DS have been weaker than expected since the second week of launch in the US and Europe,” Iwata said. While first week sales were strong in Japan, they fell sharply in the second, and the Japan Earthquake-Tsunami disaster of March 11th has also impacted sales as the Japanese have cut back on non-essential spending. Overall Nintendo is having a down year thus far. Net profit for the year through March has fallen 66.1 percent to 77.6 billion yen ($952 million USD) and overall sales are down 29.3 percent to 1.01 trillion yen ($12.396 billion USD). Iwata is hopeful that sales will rise by as much as 40 percent over the coming 12 months. Although a new home gaming console codenamed Project Cafe was announced to be shown off at this year’s E3 conference, it isn’t expected to ship until April 2012. That barely falls within the 12 months he mentioned, so one has to wonder what else Nintendo has planned to carry them until then. The sluggish sales of the 3DS really don’t come as much of a surprise. With numerous reports of eyestrain from using the glasses-free 3D, a lackluster title lineup at launch and a down economy where paying $250 for a portable gaming device with the afore mentioned problems doesn’t seem logical. There are the beginnings of a backlash against 3D being shoved down our throats in movies, television and now gaming as consumers never really asked for this technology. The Nintendo DS is still a perfectly serviceable platform, so expecting consumers to rush out and purchase another system at this time just seems too much to ask. While 3.61 million units isn’t exactly a flop, it isn’t stellar either for such a recognizable brand name either. I’m sure Nintendo will continue on supporting the device for some time to come, but if sales continue to fall below expectations, you have to wonder just how deep that support will run. What do you think? Did Nintendo launch the 3DS at the wrong time, or was it a lunch that didn’t even need to happen?